The year 2010 marked when the National Bureau of Economic Research declared an end to the Great Recession. The economy had shed over six million jobs in 2008 and 2009, but few had been recalled to work by 2010. Today, government policies have yet to make a significant dent in unemployment. 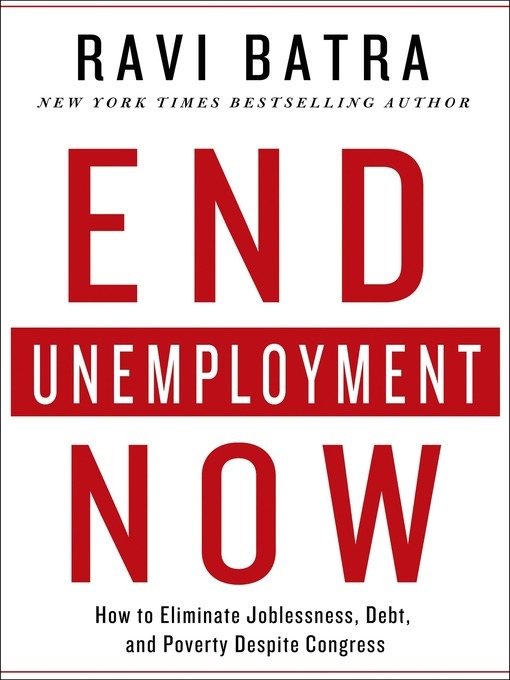 In End Unemployment Now, Ravi Batra explores why this is the case. He explains how joblessness can be completely eliminated—in just two years, and without the help of our painfully incompetent Congress. The President and the Federal Reserve have the legal authority to generate free-market conditions that will quickly end the specter of unemployment, all without involving Congress.